Despite the conditions, Chippy started well and dominated the opening 10 minutes. Playing up the hill and against the wind Sam Davin looked to be in fine form. 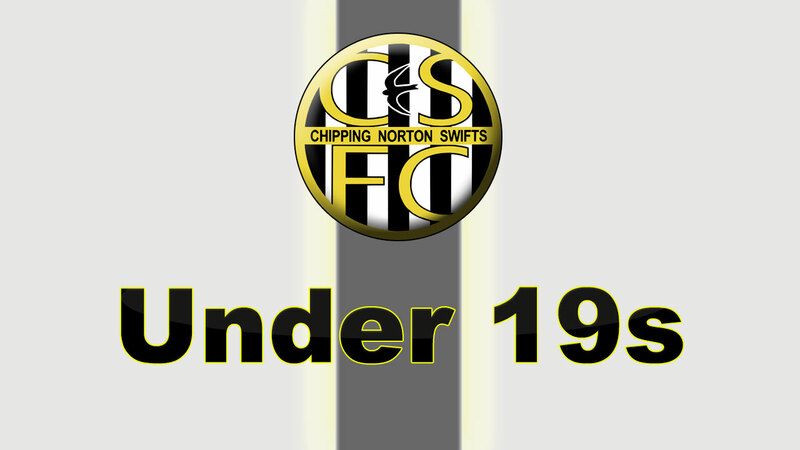 Chippy took the lead on 6 minutes when from the centre circle, left back, Miles Beard, stroked the ball over the Wantage defence to Sam Froud who had timed his run perfectly. He met the ball about 10 yards out and delicately jinked it over the on-rushing ‘keeper. It was a superb finish. As the half progressed Wantage began to get on top. More and more of the play was inside Chippy’s half. Wantage had a few wayward efforts but eventually found the target, and levelled, in the 22nd minute, with a blistering shot from 25 yards that ricocheted in off the underside of the bar. The home-side continued to peg Chippy back, and the pressure told on the half hour, when a back-post header from a corner gave the men in green the lead. 6 minutes before the break Bradley Smith was shown a yellow card for dissent and less than two minutes later was given his marching orders for further senseless remarks aimed at the ref. The second half saw Chippy playing down the hill with the wind at their backs. But down to 10 men they struggled to create chances. The game continued to be a messy affair with little niggles and spats breaking out all over the pitch. Sam Davin seemed to be thriving and always looked a threat. Some sturdy challenges by both sides were meted out and while some went utterly unpunished others did not. Sam Davin collected a yellow card for just such a challenge on the hour and thereafter had a quieter game. 5 minutes later the ref made it 10 v 10 as he issued a red card to a Wantage lad, presumably for something he said. Chippy had several chances to make it 2-all. The best of these came 10 minutes before the end when Orlando Giannini squirmed into the box but delayed getting his shot off. When he did finally shoot it was at a comfortable height for the keeper to block. It looked like Conor Davies might get to the rebound but the ‘keeper beat him to it and pushed the ball away again. It came to Chippy skipper Hedley Smart on the edge of the box but he was robbed before he could do anything with it and Wantage cleared the ball up-field. Chippy suddenly found themselves stretched and a mistake at the back gifted Wantage’s striker a clear run at goal and there was nothing Hayden Matthews in Chippy’s goal could do to stop the fierce strike making it 3-1. Another mistake at the back 2 minutes later allowed Wantage to make it 4-1 and that was the rather depressing final score. Chippy could have taken point from today's game but mistakes, missed chances and indiscipline cost them dear. Wantage didn’t look anything special and although they were on top for large periods they didn’t look that threatening and the scoreline very definitely flatters them. Chippy’s Man-of-the-Match today was skipper Hedley Smart who always gives his all. His leadership skills are immense. He organizes, instructs and encourages his team mates constantly during a game. His reading of the game is outstanding and his timing in the tackle is exceptional.